William McDonough is a designer, architect and author. I reckon he is one of the greatest thinkers of our age. If you are a person who gets inspired by TED Talks or the RSA Animate website, you will be over the moon with McDonough. Google his name and you’ll see what I mean. Central to McDonough’s philosophy is a simple maxim: waste equals food. The first time one hears this statement may be a little jarring. 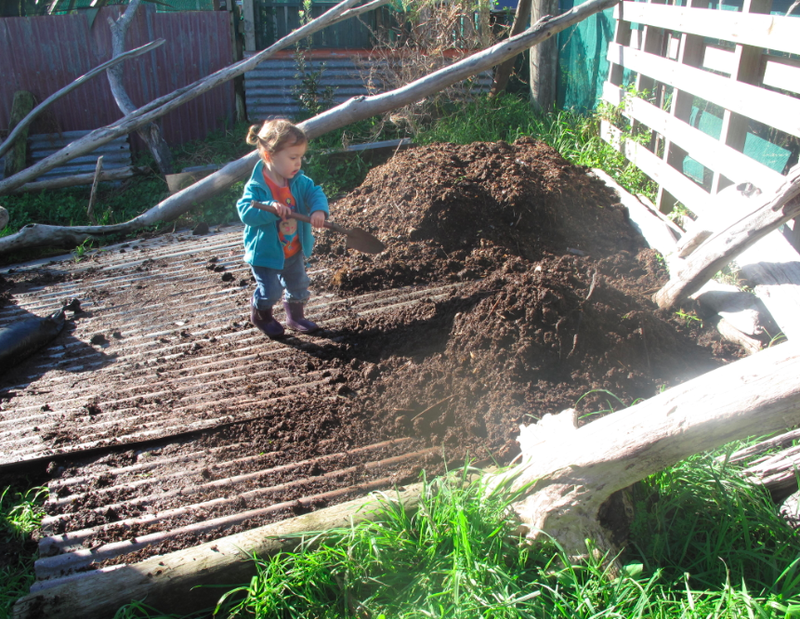 But take a moment and think of compost in a garden or leaf litter on the forest floor. What McDonough means is that the ‘leftovers’ of one process serve as fuel for another process. In nature there is no end-of-the-line, no landfill. Using nature as his design inspiration, McDonough advocates for two ways by which materials should flow through industrial society. He identifies all stuff as either ‘biological nutrients’ or ‘technical nutrients.’ Biological nutrients are those that come from nature and can be returned via composting or similar biological processes over and over again. Biological nutrients ready to return to the earth. Technical nutrients include things like metals, minerals and plastics. McDonough argues that all inorganic (non-living) and synthetic materials should be designed for infinite and easy recycling indefinitely. Some technical nutrients we found at the beach. The problem arises when biological and technical nutrients are mixed into what McDonough calls “monstrous hybrids,” which are very difficult to recycle or compost because of the mixture of materials with totally different properties. An example of this is a Tetra Brik ‘juice box’ with layers of aluminium foil, cardboard and plastic. Using the same types of design thinking as McDonough, a very small team has helped develop an exceptionally successful waste management programme for public events in our community. 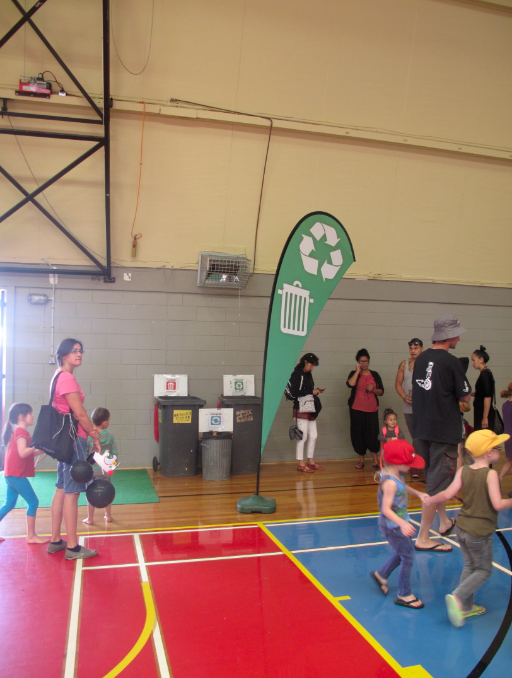 You may have noticed our Big Green Flags at Connecting Families Day, Children’s Day, and Castlecliff Children’s Day. Children’s Day at Springvale Stadium. I hope it goes without saying that we should be exhibiting positive behaviours in front of children at all of these events. One of the first things that my daughter taught me is that children are great imitators. If we engage in ‘dumpster mentality’ as a community then we are setting up our children for the same. 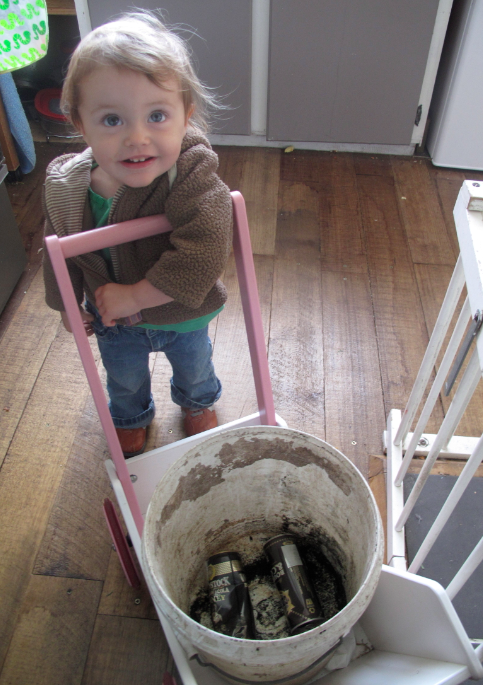 But littlies are not the only ones who can learn. Even the ‘old dogs’ that make the biannual pilgrimage to Springvale Park for the NZ Masters Games can learn new tricks. In 2013, a small, organised team was able to divert over 95% of the Games waste from landfill. To put this in perspective, the total volume of material that would have filled 20 jumbo dumpsters in 2011 was reduced to one in 2013. Put another way, the equivalent of 19 jumbo dumpsters of glass, plastic, paper, cardboard and food scraps that were trucked to Bonny Glen and buried ‘forever’ in the ground in 2011 were recycled and composted in 2013. How was it done? Simple, really. Technical nutrients (mostly glass and plastic bottles) were recycled while biological nutrients (food scraps, serviettes, paper plates, bowls and cups, beer boxes, etc) were composted. The success of this effort brought widespread attention to our city and what this extraordinary programme had accomplished. Just last week I was contacted by two people from other centres who wanted to learn more. 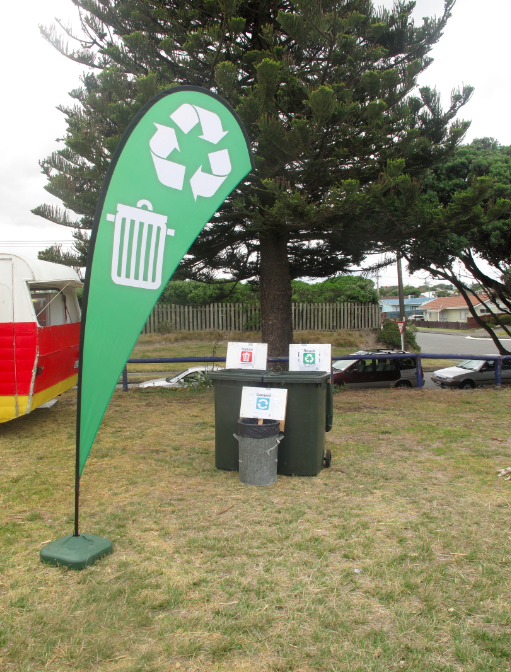 If you would like to be a part of the waste minimisation effort at the 2015 Games, please contact the NZMG office at the Wanganui Events Trust office at Springvale Park. 06 349 1815 or email at info@nzmg.com. Please specify that you want to volunteer for the Zero Waste programme. Available today at the REBS (River Exchange and Barter System) stall at the River Traders Market.